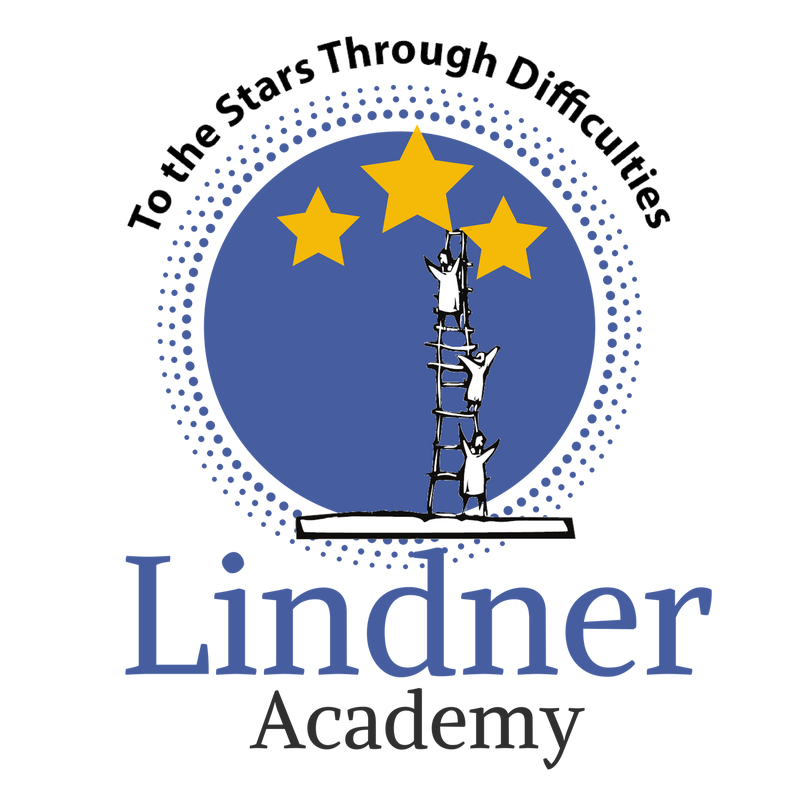 ​Lindner Learning Center is proud to offer our school program, Lindner Academy. ​Lindner Academy addresses a variety of student needs outside of the traditional classroom setting. We offer a customized solution molded to each child’s educational goals and scheduling ability. My best skill was that I was coachable. I was a sponge and aggressive to learn. At Lindner Academy, students can obtain their High School Diploma through accredited and NCAA accredited programs. Students have a choice of receiving a General, College Prep, or Academic Honors Diploma. 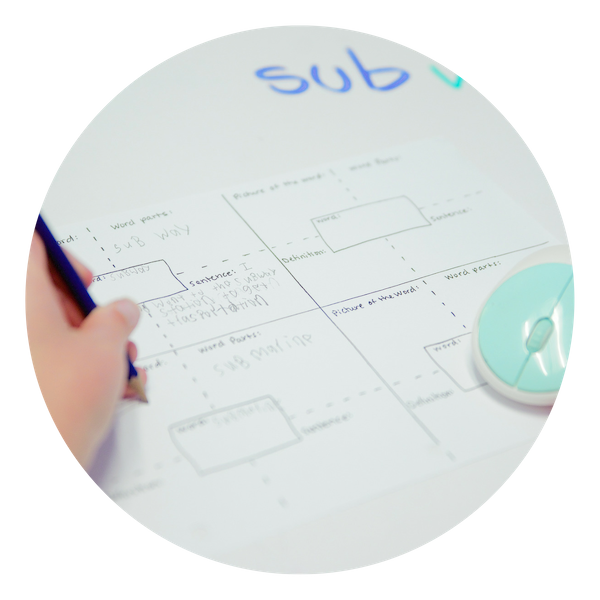 Our individualized setting allows us the latitude to formulate specific, obtainable goals for each student. Efficient pacing of coursework and flexible scheduling allow us to customize any student’s education so they find success and confidence. All coursework is completed within our student’s daily schedule. This allows our students and talented athletes the opportunity to train, volunteer, or get a job. This philosophy encompasses our mission to improve the quality of life for each student who comes through our doors. The next step in our customized educational approach will be to set up a meeting with our school administrators to discuss your student’s individual needs. We are a team of educational problem-solvers and look forward to helping navigate your child’s journey. At Lindner Academy, students can split their day between their local public or private school and Lindner Learning Center. 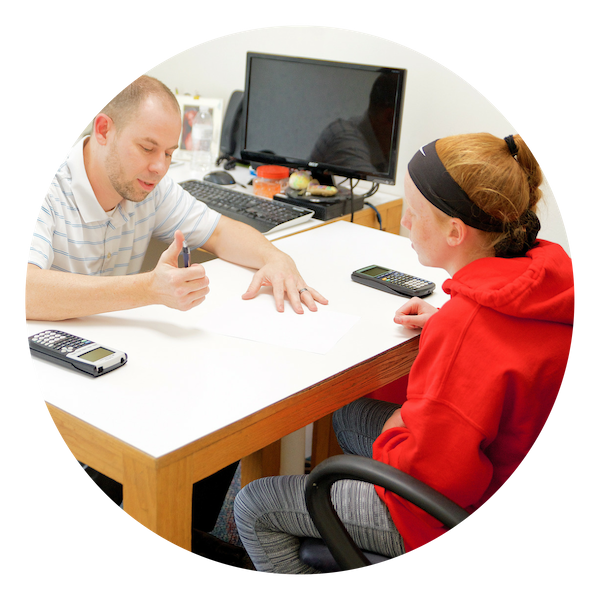 Many students take their challenging core courses at Lindner Academy, since they get the opportunity to work one-on-one with a teacher in their desired course. 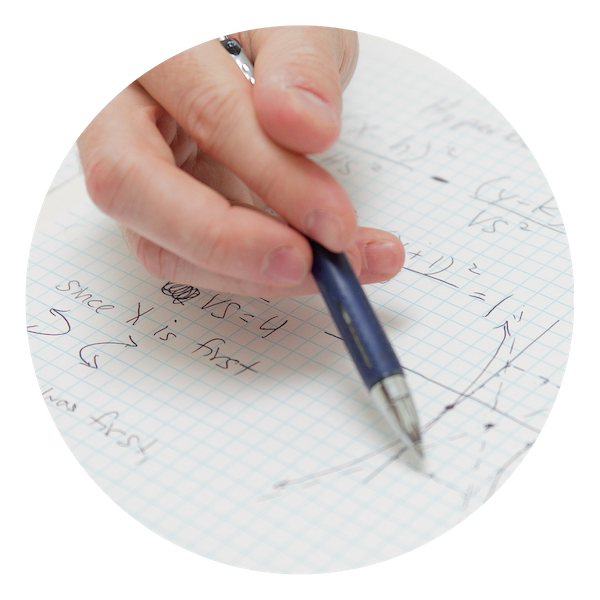 Our balanced student to teacher ratio allows us the latitude to formulate specific, obtainable goals for each student. We work with local school guidance counselors to help students who may need that extra support in classes that are difficult in a large classroom setting. Many students come to Lindner Academy before school (late start at their local school), or after school (possibly an early release from their local school). Again, we work with students' guidance counselors to get course credits approved and to help with students' daily academic schedules. All coursework is completed within our students' daily schedule. : to carry out successfully, to attain a desired end or Aim. If the plan doesn’t work, change the plan, but never the goal. Our Middle School Program is designed for those students who are either in need of remediation before high school or students who are ready to take high school courses for credit. 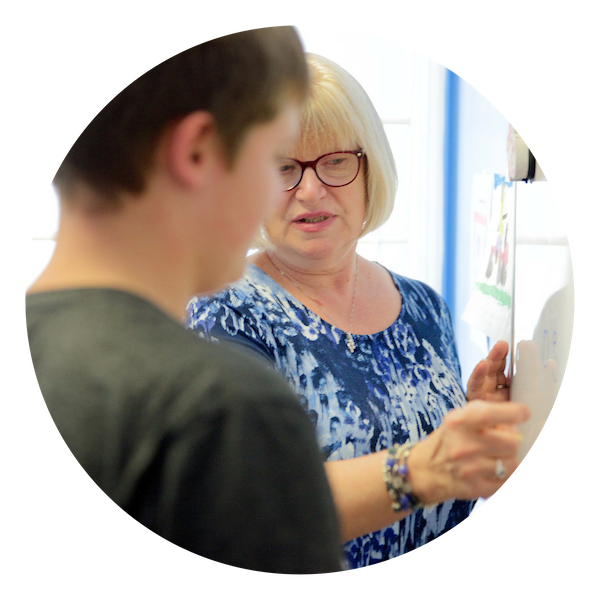 Since all of our instruction is taught within a highly individualized teacher to student ratio, our qualified teachers can fill in the gaps that students may have missed in elementary school as they teach middle school curriculum. The middle school years are the perfect time to address those fundamental skills that may not have been mastered yet, especially before moving on to high school where grades and credits count towards a student’s GPA and diploma. However, some middle school students are ready for higher level courses and can start obtaining high school credit while attending Lindner Academy. Lindner Learning Center is the perfect environment for middle school students to test the waters and challenge themselves with high school coursework. Our teachers will be there to guide their learning to make sure they are ready for that next challenging step in their academic career. If your child has failed or received a low grade in a high school course, they can retake that course to earn academic credit. In our classrooms, teachers can address the concepts that may have been challenging with a new approach, so students can master the material and have success. This enables students to get back on track and helps bring up his or her GPA as a result. We work with school guidance counselors to help ensure that students receive academic credit. : the accomplishment of one's goals. Lindner Academy also works with students who would like to obtain college credit, take AP courses, and/or gain dual credit in a variety of courses. Earning college credit allows students to get a head start on their post-secondary education. Lindner’s supportive, individualized learning environment allows students the opportunity to experience college-level coursework while not feeling overwhelmed with the added academic rigors of college-level material. Students may still need the extra scaffolding that Lindner Learning Center can provide until he or she is totally an independent learner. We can work with local schools to help make up or continue course material so students do not fail courses. Students can begin new accredited courses so that credits can revert back to their local school when students are ready to return full time. We can help students who cannot return to school get their High School diploma. ​Why do you only have one location? We are extremely relational and highly customized in everything we do. This could only happen in a small, balanced teacher to student ratio, and may help explain our decision to keep LLC small. Can high school classes taken over the summer transfer into my son or daughter’s high school? ​​Yes. Before we enroll a student in the course we will verify that your son or daughter’s high school will accept the transfer credit. ​​All courses require different time frames, and all students work at a different pace. However, as a general rule, if a course is being completed during a regular semester time frame, each course takes approximately four to six hours per class per week of tutoring time. If a course is being taken through our summer academy, a nine-week session, courses may be more intensive. Is the course work completed in a one-on-one fashion? Yes. We will match your student with the best possible teacher for the subject area in which your student is working. If my student enrolls in the school, does he/she have to do all his/her schooling with you? ​​Contact Lindner Learning Center at 317-842-8628, ext #1 for initial information. Absolutely! Each student receives individual attention and a customized plan for academic success. Every student in our facility is taking different courses, has a different schedule, and has a different agenda in terms of goals and completion time. Can you incorporate other programs such as Lindamood-Bell Learning Processes® and/or Orton Gillingham into my student’s school day? Our staff is completely trained in working with students who have learning differences and require unique learning interventions. We can absolutely address not only the academic piece, but also any additional learning needs or skill development during your student’s school day. Do you have licensed teachers on staff? Yes. With the exception of an occasional staff member who specializes in a specific subject area, our staff is composed of fully-licensed teachers who are trained in working with students who have learning differences. 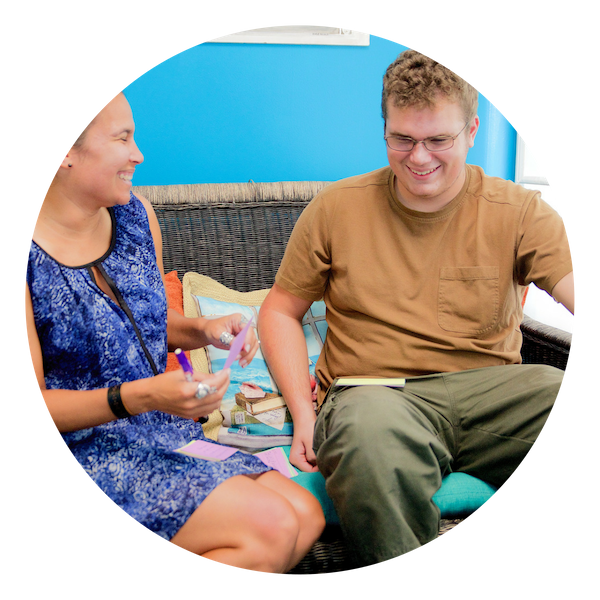 Each tutor in our school program has served an internship in our evening tutoring program and is fully aware of the needs of students with learning differences. No. One of the benefits of this program is that we have a no homework policy.